There’s whole new world of MIDI FX built in to every instrument channel strip in Logic. You know all those cool things that you can do with the MIDI Environment? Well, the Logic team has turned them into fun, powerful and creative MIDI plugins that go way beyond the capabilities of any other DAW on the market. The ultimate driver of these FX is the new, feature-rich Arpeggiator. No matter what kind of music you like to produce you’ll find that Arpeggiator will inspire you! This awesome powerhouse is so loaded with functionality that we asked Logic guru Steve H to dive in and explain them as only he can! 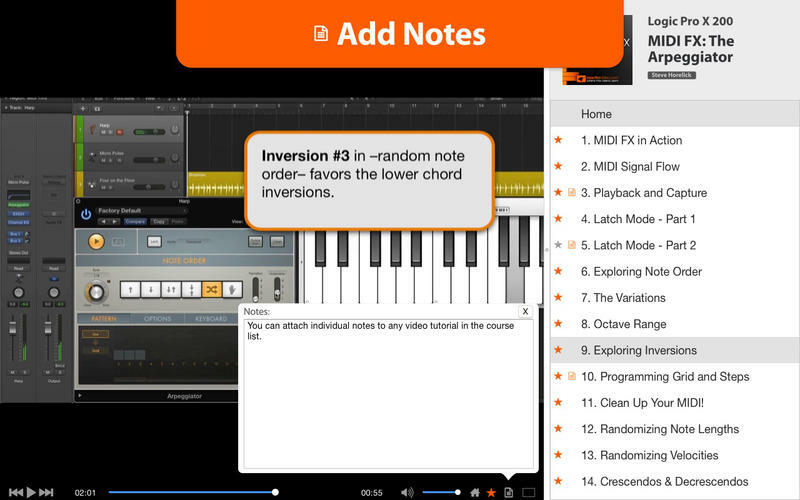 You learn about MIDI signal flow and the different Latch and Capture modes. Watch and listen as Steve takes you through the various Note Order options as he explains how they work and interact with the Variation and Octave range controls. Then, Steve dives deep into Patterns, Options and external Controls and explains how all these performance-based features and effects come together inspiring you to compose, improvise and then incorporate the astounding musical results into your Logic productions. 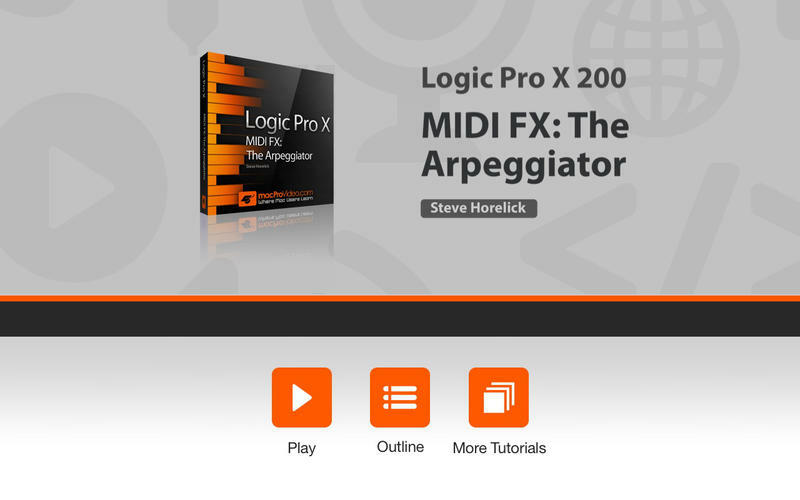 MIDI FX bring a whole new level of creativity into the Logic experience. So, get ready to expand your mind and your production capabilities starting with the MIDI FX mothership: Arpeggiator. 11. Clean Up Your MIDI!